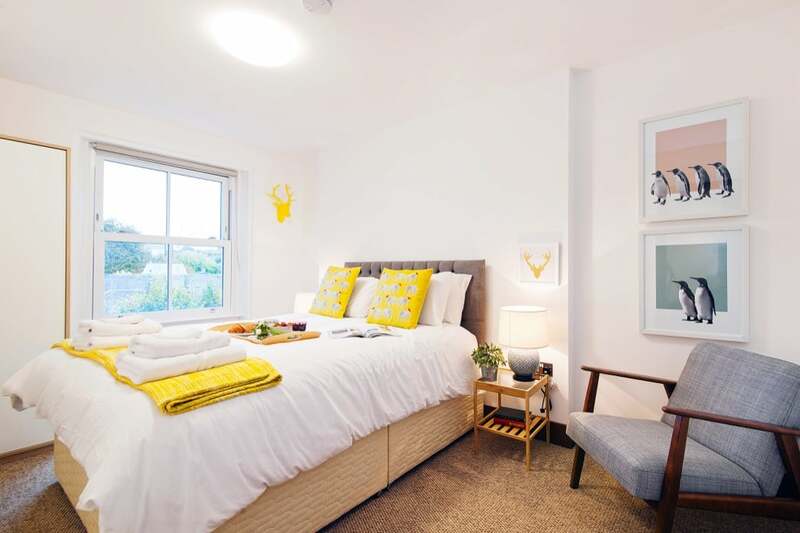 Owning a flat in London is wonderful; having a place to stay in the vibrant capital city for your own visits, both for short and extended stays, and a base to offer to friends and family too. But when you’re not there you obviously want to rent it out and profit from your invested property and with this comes a whole host of issues, dramas and irritations! Finding tenants was always a huge headache but the wonderful Airbnb has solved a lot of this, however many hassles remain: checking people in, being a point of contact during their stay, dealing with cleaning, maintaining the property; the list goes on and on. And this is where an Airbnb Management Company comes in; let them deal with all the headaches and a add whole lot more. The little touches make a big different to the reviews you receive which in turn attracts more people and a better clientele of person to stay in your property; things like providing fresh linen at all times, hotel-style cleaning and replenishing stock is vital. A good Airbnb Management Company will offer all this and take one huge job off your to do list for good, read on for our guide to the best Airbnb Management Services in London. City Relay provides a local city front desk for Airbnb hosts and offer the very best guest and host management services in the capital. They offer an unlimited number of check-ins and the services that they offer include luggage storage, property maintenance and 24/7 guest support. They have a professional in-house cleaning team that ensure that housekeeping and laundry is completed to hotel standards, and that includes hotel quality linens; they pride themselves on the extra little touches too so just watch your glowing reviews flood in and your star rating shoot up. City Relay can also take care of your listing creation, they use a professional photographer to ensure that your property really stands out and looks it’s very best. As well as Airbnb, they can market your flat on more than 20 other channels increasing your visibility and ultimately your occupancy rate. Your rates can be updated daily with their automated intelligent software to increase your occupancy rate. 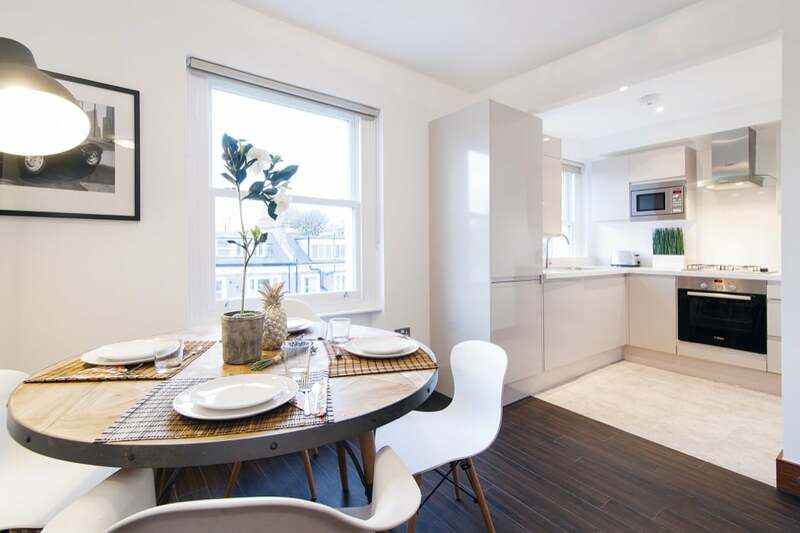 One of the big advantages of City Relay is that they focus solely on London, with over 300 stunning flats and apartments in the city, they have two offices in London and know the city inside and out. With them in charge, you can almost forget about your flat and just enjoy seeing the funds trickle in when your guests stay – just don’t forget entirely as you want to slot your own visits in! With a simple, transparent pricing structure, signing up is as easy and efficient as the service they provide. They believe that short term rentals should be easy and with them in charge, they really are! One rental management company that will cover all your management needs, however much you decide to outsource, is Guestready.com who can manage your Airbnb rental in London. A global short-term rental management company, they are currently active in London, Paris, Singapore and Hong Kong. They provide professional services to property investors, homeowners and Airbnb hosts. Services include listing creation, guest communication, housekeeping, laundry, key management and many more. They offer that vital hassle-free hosting and pride themselves on helping homeowners to generate up to 100% more income by renting out short-term and will take up any operations that are related to turning over guests. Airsorted provides Airbnb Management Services in London, Edinburgh, Dublin and Sydney. Their services include cleaning, laundry, 24-hour check-in, key exchanges and on-call support. They also offer property maintenance and home replenishments. It’s an end-to-end service, so before the tenant checks in they will deal with all guest communications, booking and verification checks. Their services are generally used by property owners who have never hosted their property on Airbnb or any other platform before, but they do have more experienced hosts too who are looking to maximise the return on their investment. Hostmaker will list your property on 6 platforms; they work across 4 cities; London, Barcelona, Paris and Rome, and support over 1000 homes. They will manage your profile to attract as many guests as possible, vet all your guests and handle key exchanges. 5-star hotel quality standard housekeeping and maintenance is provided too. They are a slightly different offering in that they can also deal with the interior design. You can pay as you go for a set fee, let them fully manage your property for a percentage of the incoming funds or you can pay them a fixed monthly rate.